The economic recovery in the Irish construction sector gathered momentum in June, as activity increased at the second-fastest pace in the survey history. Growth of activity was supported by a strong rise in new business and improved market confidence. As a result, companies hired additional workers again, with the rate of job creation accelerating. The Ulster Bank Construction Purchasing Managers’ Index – a seasonally adjusted index designed to track changes in total construction activity – rose to 65.7 in June from 63.3 in the previous month, thereby pointing to a substantial increase in construction activity. Moreover, the rate of growth was the fastest since the survey record seen in November 2004. 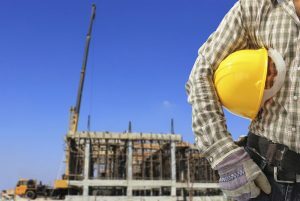 The recovery in Irish construction gained further significant traction in June according to the latest results of the Ulster Bank Construction PMI survey. Building on the solid improvement registered in April and May, overall activity again accelerated sharply last month as the headline PMI rose to 65.7. This is the second-highest reading in the survey’s fifteen-year history, with the pace of growth in June bettered only by the record rate of growth recorded in November 2004. All three sub-sectors registered improvement last month suggesting the renewed pick up is broadly-based. Exceptionally strong performances were recorded in Housing and Commercial activity where in each case growth was close to the record rates seen in the second half of last year. More moderate growth was seen in Civil Engineering, though the June survey pointed to a third consecutive month of growth and the best performance since January. There was also a very strong improvement in new business levels which, combined with stronger activity trends generally, have underpinned another very solid month for employment where growth was as its fastest pace since last October. Overall, following a notable slowdown in the early months of the year, there has been a marked re-acceleration in the pace of construction activity through the second quarter, thus offering considerable encouragement regarding the sector’s momentum as we enter the second half of the year. Respondents attributed rising activity to an increased number of projects and improving confidence within the economy. The rate of growth in new business accelerated for the fourth successive month and was the sharpest since November 2014. New orders have now risen on a monthly basis throughout the past two years. Growth of new orders and confidence that workloads will continue to increase through the second half of the year led companies to raise employment, with the rate of job creation quickening to the fastest in eight months. Sub-contractor usage rose at a sharper pace in June, contributing to a further decline in their availability. Higher demand and lower supply of sub-contractors meant that they were able to raise their prices charged at the fastest pace in the year-to-date, despite a modest deterioration in the quality of their work. Increases in new orders and business activity led construction companies to raise their purchasing activity during June. The rate of expansion was substantial, albeit slightly weaker than in the previous month. This rise in demand for inputs, coupled with low stock levels at suppliers, led to a further lengthening of delivery times in June. Furthermore, the rate of deterioration in vendor performance was the strongest since last October. The recent weakness of the euro continued to place upward pressure on input costs. The rate of inflation was marked and little-changed from that seen in May. Strong confidence was recorded again in June, with improving market conditions and planned company expansions mentioned by panellists as factors expected to lead to growth of activity over the coming year.